Cat and Mouse! Cards by Maria! 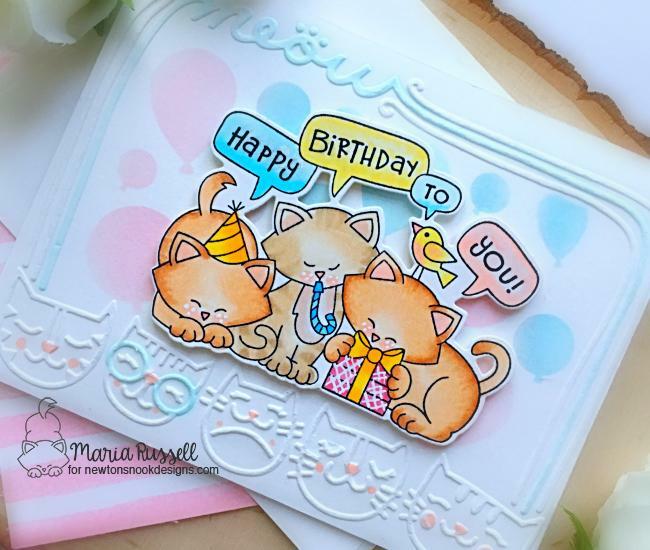 Today we have TWO adorable cards to share that were created by Maria using some of our new goodies! For her first card she used the cute birthday kitties from the Newton's Birthday Trio Stamp Set. She colored the kitties so beautifully and added colors to the thought bubbles as well! She cut the image out using the coordinating Newton's Birthday Trio Die Set too. 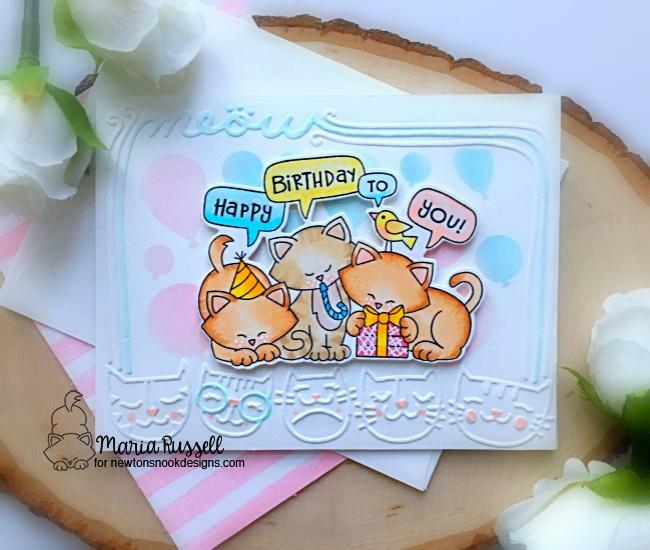 For the card base she used a fun kitty themed embossing folder to create a cute themed border and added balloons inside using our Balloons Stencil in pink and blue! So cute! For her second card today Maria features a cute mouse from our new Garden Mice Stamp Set. 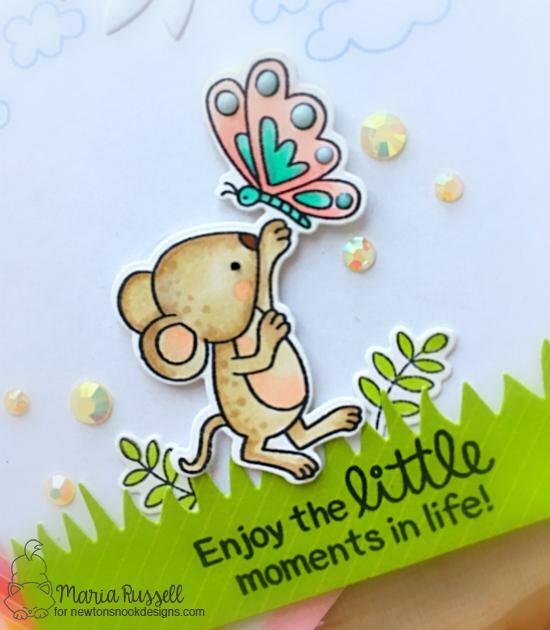 She colored the image with lovey soft pastels and cut it out using the coordinating Garden Mice Die Set to add it to her card. For the card she used an embossing folder to add a tree and also added some clouds from the Newton Scoots By Stamp Set into the sky. For the grass border across the bottom she used our Land Borders Die Set. She also added in a couple of little leafy branches using our Deer Friend Stamp Set. She finished it off by adding a strip of rainbow washi tape up the side. Check out the close-up below to see her lovely coloring! Thank you for the lovely Spring inspiration today, Maria! To see more beautiful projects by Maria, visit her over at her blog, Maria Russell Designs and don't forget to subscribe to her YouTube channel too! They are both so darling!! Love the delicate tones and the embossing!